Cover up your Sony PlayStation 4 with a custom vinyl skin accessory kit. 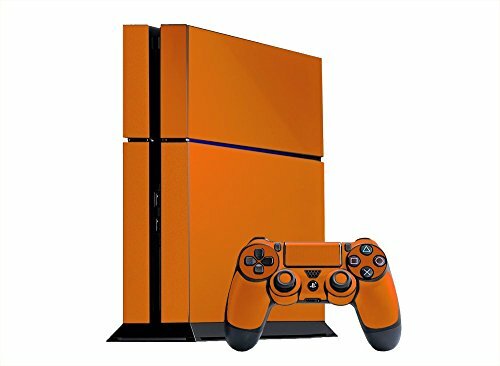 Our Sony PlayStation 4 skins are made from high quality vinyl that will protect your console from scratching and elements while giving you a look that is 2nd to none. The perfect compliment to an already amazing system. Impress your friends and watch them be envious of your Sony PlayStation 4 with a custom skin kit from System Skins. Our vinyl skin kits are digitally cut from high quality premium 2 mil thick 7-year outdoor vinyl, they are not paper stickers. Our skin kits are made from the same material used by the automotive industry for vinyl graphics and lettering. It's the same material you see on most store front windows that display their hours of operation or advertise their products and services. To install our skin kits simply peel each piece off of a waxy liner backing to expose an adhesive side then you apply it to your console, just like you are using contact paper inside of a drawer or on a shelf. No glue is needed. Complete 20-Piece decal kit designed for maximum protection coverage and digitally cut for a precise fit. Guaranteed to last a life time, will not fade, crack, or peel. Includes a skin kit for console and (2) controllers. If you have any questions about this product by System Skins, contact us by completing and submitting the form below. If you are looking for a specif part number, please include it with your message.